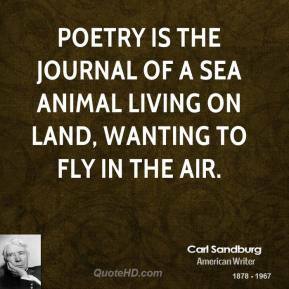 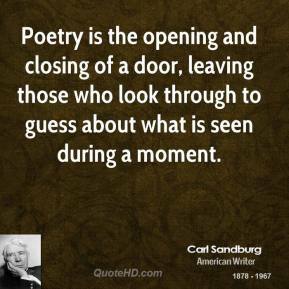 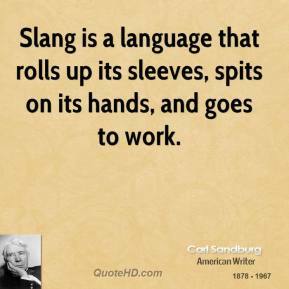 Slang is a language that rolls up its sleeves, spits on its hands, and goes to work. 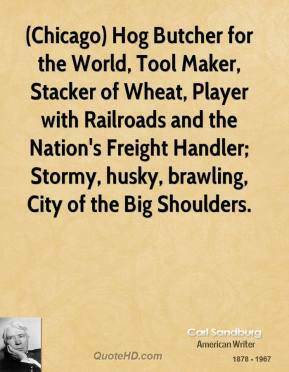 (Chicago) Hog Butcher for the World, Tool Maker, Stacker of Wheat, Player with Railroads and the Nation's Freight Handler; Stormy, husky, brawling, City of the Big Shoulders. 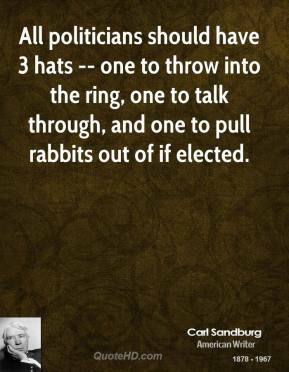 All politicians should have 3 hats -- one to throw into the ring, one to talk through, and one to pull rabbits out of if elected.